People with autism spectrum disorder (ASD) have been using weighted vests for decades due to their calming effect. The vests are widely used in sensory integration therapy and are way easier to carry around than weighted blankets. The studies on weighted vests for autism have found mixed results. That’s why it’s vital to consider all the pros and cons of wearing them. Today, we’re on a short journey to discovering the health benefits weighted jackets boast. What Is a Weighted Compression Vest? 1 What Is a Weighted Compression Vest? 2 Are they really useful? 4 How Does Weighted Vest Therapy Work? 5 Weighted Vests vs. Compression Vests: Which One Do You Need? The weighted compression vest is designed to provide steady and calming proprioceptive input, helping people with autism. It combines the weight and pressure functions, providing the feeling of a deep hug. The weighted compression vest helps to keep an autistic child stay relaxed and comforted during situations that may cause them to feel fearful, anxious, or uncomfortable. The idea behind the compression vests is similar to dog anxiety vests a.k.a the “thunder shirt”. Today, pet owners, especially those who travel a lot, invest in a variety of calming vests, jackets, and shirts. And the thunder shirt is a rather known one. The reason is dog anxiety, albeit cats are prone to an obsessive-compulsive disorder as well. The dog anxiety vests alleviate the symptoms by providing constant and gentle pressure to the pet’s body. They help to relieve tension due to the fear of thunder, travel stress, extremely loud noises, and a number of anxiety disorders. Similar to dog anxiety vests, the weighted compression vests help people with autism to eliminate the stress-related behaviors and improve their quality of lives. They are easy to use as they fit closely to the body, delivering a “portable hug”. This is called deep pressure touch stimulation. Generally, such weighted jackets are made of neoprene with soft mesh material for extra comfort. They have great breathability, so it’s safe to wear them for a certain period of time. There are exceptions, though. For parents of autistic children, every day can be challenging. Apart from struggling to calm their children during a meltdown or tantrum, they may also have difficulty to keep their little ones focused during the learning process. 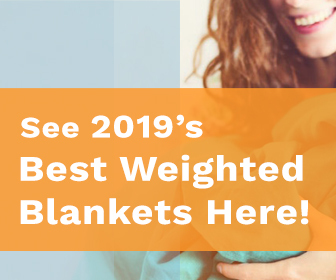 While weighted jackets are helpful for some kids with autism1, they might not be comfortable or appropriate for others – particularly those on the acutest sides of the spectrum. Children with autism who easily and frequently become over-stimulated or have trouble staying on task might benefit from wearing a weighted jacket. However, if your child has significant communication difficulties or they don’t like when someone touches or hugs them, you should make sure if a vest is right for them before buying it. If they feel uncomfortable or there’s only negative change, consider other weighted tools. It’s recommended to test the vest before including it in your child’s life. Let them wear it for 3 to 5 minutes and see how they behave. If they’re trying to take it off or they start crying, it could be a good idea not to buy it. The weighted vest should be 5% to 10% of a child’s or adult’s body weight. Since these recommendations are actually based on statistics on maximum weight allowances for backpackers, it’s critical to let an occupational therapist choose the perfect weight for you or your child. The weights in the jacket must be evenly distributed and let you or your child reposition them to make some adjustments for balance and comfort. If the vest is too heavy, it can lead to injuries. Also, children who have low muscle tone could respond poorly to the weighted vests if they aren’t used in the right way, you must always remember to talk to a therapist before using them. The next important thing to consider is size. The vest must fit properly, but must not be too tight. Tight weighted jackets may cause back pain and breathing issues. How Does Weighted Vest Therapy Work? The therapy involves a short-term wearing of a weighted vest over clothing. Some adults wear the vests under clothes, but it’s not recommended for children. Occupational therapists advise wearing the vest in 15 to 25-minute intervals, depending on the age and condition. If your child wears the vest for 10-15 minutes, they must take it off for 10-15 minutes. The same applies to adults but with the time frame of 20-25 minutes. Toddlers should wear the vest for no more than 5-7 minutes and take a break from it for at least 20 minutes. The weighted jacket can be worn in the classroom, at home, in the park, or while traveling. But it’s critically important to supervise your child and stick to the recommended time frame. You can use the vest only for specific activities and times such as working at a desk, doing homework, watching TV, strolling in the park, etc. Put it on just a couple minutes before the activity starts or once it begins. The major goal of the weighted vest therapy is to help people with autism spectrum disorder calm and feel secure. However, and even when some occupational therapists prescribe them as a go-to solution in many cases; more studies are required to prove the effectiveness of the therapy and show the details of using it. Weighted Vests vs. Compression Vests: Which One Do You Need? So far we’ve talked about “weighted compression vests”, but it’s important to consider that some vests are targeted towards one function, or the other. At first glance, it’s difficult to tell the difference between weighted and compression vests. Both provide deep touch pressure and help people with autism calm down – especially during tantrums and meltdowns. When choosing between these two jackets, it usually depends more on personal preference than some health considerations. If you use other weighted products like blankets or lap pads, you’re more likely to choose a weighted vest. Wake up the nervous system. The heavy vests provide resistance to the muscle belly, jump-starting the central nervous system. This, in turn, wakes up the muscles and the brain and improves focus and concentration. Boost the brain power. Talking of the brain function, the vests offer a moderate resistance to the muscles. This leads to a stimulation of the Golgi tendon organs in the joint receptors. Wearing a weighted vest has been shown to improve the learning abilities due to its brain-boosting properties. Control the muscle tone. Some children with autism tend to have low muscle tone (the muscles are not strong, and feel floppy and loose). A weighted vest can help to increase the muscle tone, if it’s used correctly. Adjust weight. When purchasing a weighted vest, you might see tons of models with additional pockets. Although they seem to be the perfect elements, their initial purpose is different. Some vests feature removable weights, which you can add to the pockets and remove from them to correct the amount of resistance. It allows you to adjust according to your or your child’s activities or sensory needs. Can be used for playing games. Unlike other weighted tools, a vest is portable and easy to wear. Children with autism often get frustrated, irritated, or sad during the playing games, so the vest will help them calm down (Just make sure he has a lot of energy if he wants to run while wearing it!). Promote body awareness. The weight of the vest helps people with autism to be more aware of their bodies and realize where they’re in space. It doesn’t work for all autistic kids, though. They’re similar to human’s hugs. As simple as it sounds, a compression vest is ideal for autistic people who adore hugs or who need them to calm down or relax. And even if they don’t like being hugged by humans, they could really use the comforting hug of the vest. Wearing a compression vest helps to neutralize and tame an over-stimulated sensory system, alleviating tantrums and meltdowns. Stimulate touch receptors. People with autism have frequent mood swings, so it’s vital to keep the endorphin levels high. Wearing a compression vest for several minutes has been found to enhance the release of endorphins for a general sense of wellness and even euphoria. Endorphins trigger the positive feelings in the body and fight stress and fatigue. The pressure stays permanent. Autistic kids don’t love changes. Unlike weighted jackets, the pressure of the vest remains constant. This lets children get used to the same pressure, so you don’t need to adjust it all the time. They’re safe and versatile. The compression vests are perfect for gross motor activities, playing games, and other general daily activities. Both vests can provide the reassuring, calming, and gentle effect. And both provide steady proprioceptive input with deep pressure. That’s why it’s better to choose the jacket based on your or your child’s needs. If you can afford, having both vests is a great idea. A weighted jacket can be a real lifesaver for many kids and adults with autism. It provides the comfort and compression of a hug at school, home, and work. Stick to the time frame and keep in mind all the precautions. Don’t allow your child to wear the vest without you supervising them. Plus, ensure you talk to your doctor before buying the one.